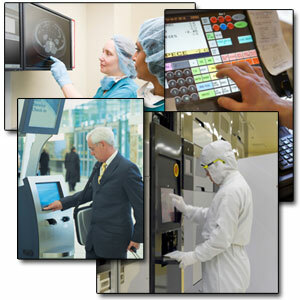 Dontech antimicrobial coatings are designed for touch screens, membrane switches, and optical overlays used in electronic display applications. To minimize microbial growth, Dontech’s AMF Series films contain slow release silver ions that inhibit the growth of many common bacteria, molds and fungi. The high optical transparency and durability of the AMF films make them ideal for protecting electronic displays and overlays used in medical, food processing, ATM and kiosk applications. 1. Properties are reported as tested and do not represent specification values.